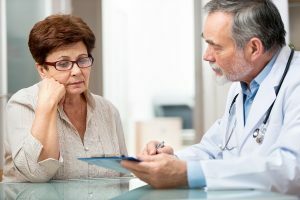 In March, the Food and Drug Administration (FDA) identified a possible connection between breast implants, especially textured implants, and the development of a rare type of cancer, anaplastic large cell lymphoma (ALCL). The media headlines that followed the FDA announcement caused understandable concern for the 4.6% of American women, or 1 out of every 26 women in the U.S., who have breast implants. Even the New York Times, which doesn’t usually include sensational headlines, had an article titled “A Shocking Diagnosis: Breast Implants ‘Gave Me Cancer’”. PinnacleCare members reached out to us with their concerns about breast implants and an increased risk of ALCL, which we investigated in detail and provided evidence-based information about the risk. And while the medical issue this article focuses on is the link between this rare form of lymphoma and textured breast implants, there’s more to the story. This case vividly highlights a challenge we all face when it comes to new medical information that pops up almost daily in our news feeds: the perception of prevalence versus the reality. Despite the attention, stress, and anxiety that this study and the sensational headlines it generated have caused, there does not appear to be any significantly increased risk to women with textured implants of developing this rare type of cancer. A review of findings shows that the prevalence of ALCL linked to breast implants is very small. An average of 7.5 cases of ALCL per year have been associated with these types of implants. Another recent review of documented cases of breast implant associated-ALCL (BIA-ALCL) in the United States from 1996 to 2015 found that the incidence was two cases per 1 million women with a textured breast implant. Even for people without breast implants, this type of cancer is very rare, with 700 cases diagnosed per year compared to more than 60,000 cases of other forms of non-Hodgkin lymphoma. In addition, both the FDA and expert oncologists and plastic surgeons have stated that there is no evidence at this time that prophylactic implant removal surgery would be indicated or would reduce the risk. BIA-ALCL is a very rare type of non-Hodgkin T-cell lymphoma that can develop around breast implants. The exact cause is not known, but it’s thought that the implants produce chronic inflammation that leads to the development of a localized immune response. The immune response or chronic immune system stimulation may then lead to genetic degeneration and the development of abnormal, pre-cancerous cells in some women. Most cases of BIA-ALCL have developed between two and 28 years after implant surgery, with a median of eight years. The majority of cases occurred in people with textured implants. What the implant is filled with—saline or silicone—does not appear to effect risk. There was also no association between whether the implants were for cosmetic breast enlargement or post-mastectomy reconstruction. When the disease is diagnosed early, the prognosis is very good, with a higher than 90% five-year survival rate and 85% of cases curable by surgery alone. Treatment for BIA-ALCL starts with the removal of the implants. If the cancer has not spread to the lymph nodes, that may be all the treatment required. If it has spread, however, chemotherapy and radiation may be needed. One issue women with breast implants should be aware of is that because the disease is so rare, there is a higher risk of misdiagnosis or delayed diagnosis. That’s why it’s important to see a physician who has experience diagnosing and treating BIA-ALCL if you have symptoms of the disease or are concerned about your implants. A health advisor can be a key resource if you’re facing a rare condition or want evidence-based information about health risks and conditions. With this information and support, you’ll be better prepared to understand your risks, preventive measures, and treatment options and make an informed medical decision.